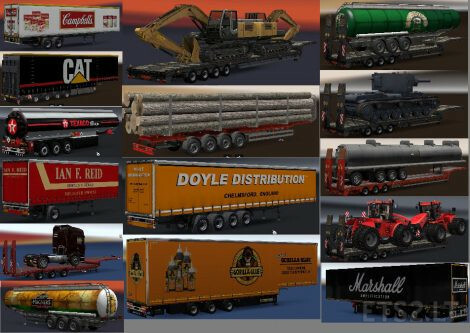 This Trailer Pack also includes all trailers from my previous packs, if you have any of my previous packs remove them from mod folder & use this file. 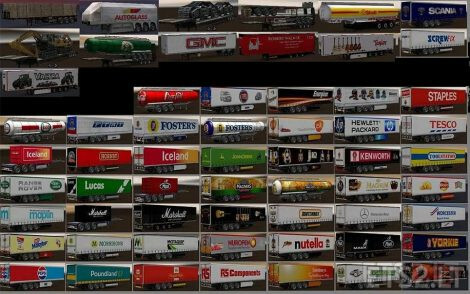 Download, Unpack with 7zip or winrar & place “Chris45 Trailers V8.00.scs” file in mod folder, activate in mod manager, best to put above other trailer mods (if you have any). You Must have DLC Scandanavia & DLC Going East installed for this mod to work. 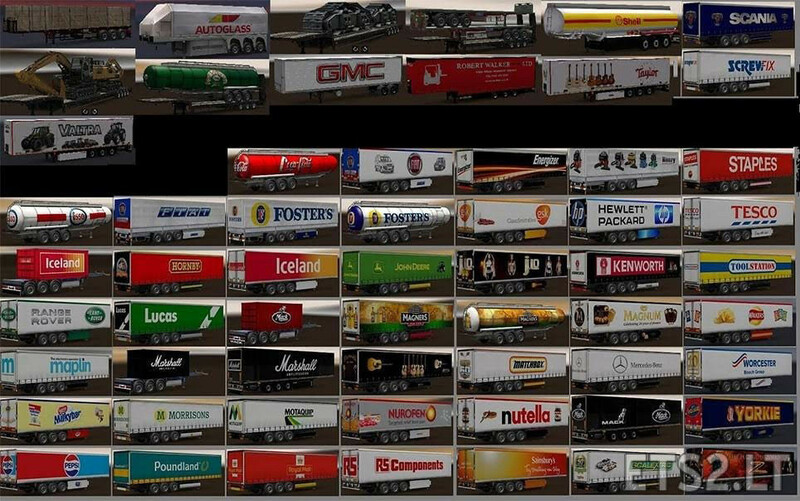 No AI trailers. Log full of errors about not possible to create ai trailers. Sorry guys, i forgot to remove a file that i was using during mod testing, which caused ai traffic trailer issue. new fixed version 8.01 has just been uploaded so should be available very soon. Tested & Clean Game Log.